At St Mary’s we believe that life begins outside your comfort zone. All girls in Senior House are challenged to achieve the St Mary’s award at Bronze, Silver or Gold level each year. 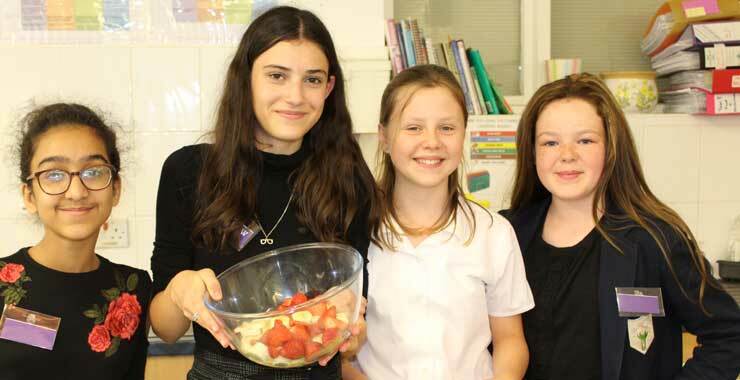 Participation in at least one co-curricular activity per term is required, but in reality girls take part in a number of the wide range of clubs and societies on offer. In addition, they may opt to give back to our School community in some way, for example by helping at Open Day or Sports Day or, in the Sixth Form, helping out in Prep by hearing the younger girls read or rolling up their sleeves and getting messy in the sandpit! Parents can view full timetables for all the clubs in the “Parents Information” section of the website. Quite apart from the enrichment and extension opportunities provided by trips and visits, it is important that girls see the relevance of their learning in the wider world. To this end we organise a whole range of excursions to museums, conferences, castles, courts and art galleries. Girls take part in field trips for Geography and Biology, pond dipping at Mop End, pondering Roman ruins at Verulamium and travelling back to Tudor Times at Sulgrave Manor, to say nothing of discovering the delights of camping on our own Cedar Lawn. Our Physicists have gazed in wonder at the Hadron collider at Cern and our linguists chatter away in France, Germany and Spain. Our Geographers travel to Iceland and Senior House students have embarked on expeditions to destinations such as Peru, New York and Africa, these trips often include a charitable aspect as well as providing lots of fun! There is most definitely a world beyond St Mary’s and we ensure that our students experience as much of it as possible! The world is changing at an unprecedented rate. Your daughter will almost certainly have at least two if not three or four careers in the course of her life and she will do jobs that have not yet been invented. Our Enterprise programme aims to equip her with the necessary skills to embrace the challenges of this emerging world, through the development of presentation and negotiation skills and an understanding of the commercial and economic culture in which we live. Each year group comes off timetable for one day per year to learn how business works and to develop a business plan for themselves. Girls in the Sixth Form participate actively and successfully in the Young Enterprise programme, as well as carrying out Work Experience, and those all-important professional competencies of communication, empathy and leadership traits are developed in every area of our curriculum. Music is a crucial part of life at St Mary’s with students participating in the choirs, orchestras and ensembles which we offer. Peripatetic music lessons are offered in just about every instrument you can think of, including the voice, and specialist music tuition begins right from Nursery. If they choose to, girls can sit Music exams, or if they prefer they can learn purely for the enjoyment of the instrument. Girls perform regularly at a whole variety of occasions ranging from in house shows to events in the community, performance teas to concerts on a grand scale. There is also a community choir, open to staff, parents and Governors, which performs at our annual Christmas carol service. Music is also brought to life with regular trips to see some of the top musicals in the West End. 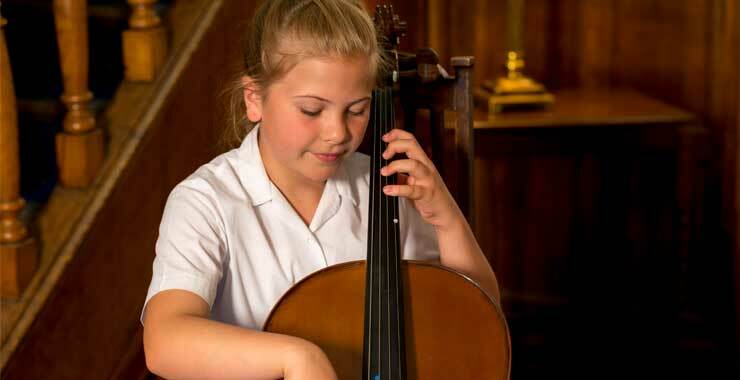 There is a Music scholarship available to a girl entering Year 7, who shows particular talent in this field, as well as Performing Arts scholarships at Sixth Form. Please see our Admissions section for more details. Artwork brightens up every space and empty shelf in our School, from Nursery right through to Year 13. 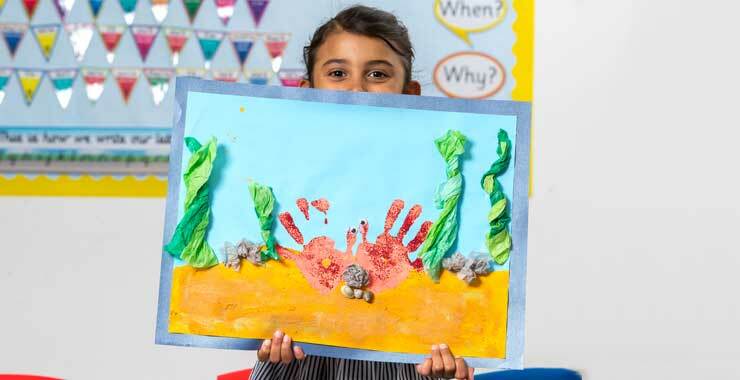 With dedicated teaching rooms and specialist Art teachers in both Prep and Senior House, the girls are encouraged to express themselves through a variety of media and to take creative risks in a subject which not only encourages but demands it. There is a popular Art Club, visits from renowned artists and trips to art exhibitions. As well as preparing for GCSE and A level, girls throughout the school take part, and have a good level of success, in competitions and exhibitions which allow them to display their considerable talents to a wide audience. But the highlight of the year is undoubtedly our Summer Art Exhibition, encompassing work from girls throughout the school, which draws a packed house and many gasps of admiration. Scholarships are available to girls entering Year 7 and Year 12. Please see our Admissions section for more details. 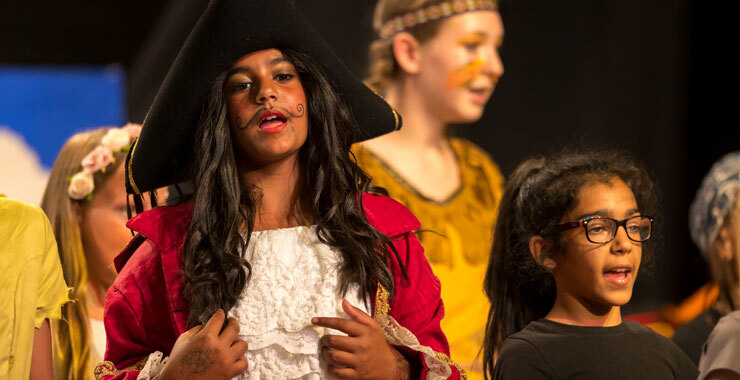 Drama is an important part of school life, giving the girls the opportunity to experiment and explore, teaching them empathy, creativity and expression as well as developing confidence and key life skills. A number of productions are staged each year in both the Prep Department and Senior House and have recently included ‘We Will Rock You’, ‘This Changes Everything’ and ‘Bugsy Malone’, as well as a winning performance at a local Drama Festival. In the Prep Department we have enjoyed ‘Born in a Barn’, ‘Lights, Camel, Action’ as well as wonderful adaptations of ‘Peter Pan– Pantastic’ and ‘Alice in Wonderland’. Productions in Senior House embrace students from every Year group, whilst the Prep Department combine the classes in KS1 and KS2, further enhancing the overall community of St Mary’s. There are drama workshops, visits from performing artists and many trips to live performances in local and West End theatres. All girls, not just those studying GCSE and A level, have the opportunity to take part in ‘Spotlights Theatre’, our Drama Club, to be prepared for LAMDA qualifications or to take Speech and Drama lessons. Whether on stage or behind the scenes, every girl has a part to play. There is a Drama scholarship available to a girl entering year 7 showing particular talent in this field as well as Performing Arts scholarships at Sixth Form. Please see our Admissions section for more details. Great emphasis is placed on the importance of Sport at St Mary’s, and we enjoy considerable success at local, regional and national level in a variety of sports. 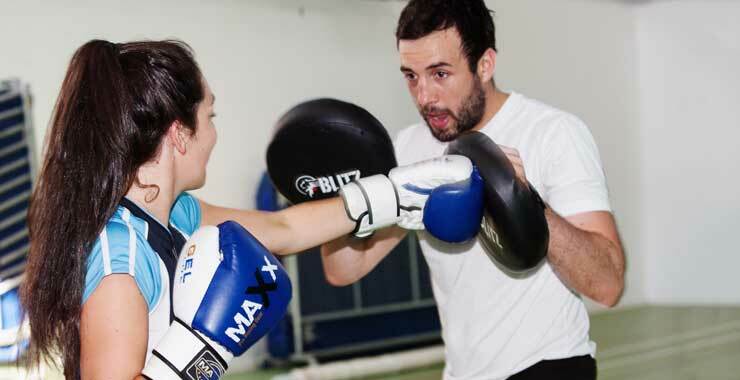 But Sport is about more than winning, it is crucial to improving levels of physical fitness, important in maintaining a healthy lifestyle, as well as in developing life skills to lead happy successful lives. 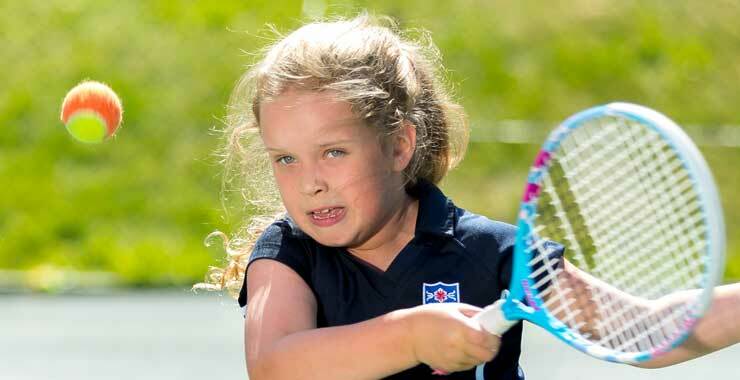 We are committed to providing inclusive, challenging and enriching Physical Education, which promotes high standards of performance and a positive attitude towards sport and physical activity for life. At St Mary’s every girl has the opportunity to get involved; there is a broad curriculum that we tailor around our student’s preferences. These range from team sports such as Basketball, Netball and Hockey, to individual performances such as Gymnastics, Dance and Trampoline. Our lessons provide opportunities for extension and consolidation, including the importance of general health and well-being. We have a broad co-curricular programme, encompassing preparation for competitive fixtures, as well as recreational Sport which promotes a healthy lifestyle, teamwork and enjoyment in participating. There is a Sport scholarship available to a girl entering year 7, who shows particular talent in this field. Please see our Admissions section for more details.